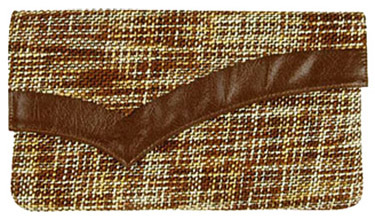 Large tweed clutch with distressed faux leather trim. Snap button closure. Inside cell and zipper pocket. Mint condition Forever21 deadstock, rare and hard to find.